If you’ve ever tried growing sugar beets in a food plot and been disappointed in their performance, you’re not alone. Some of the most common calls we get here at Deer Creek Seed involve questions on how to successfully grow sugar beets (or whether it’s even worth it to try!). 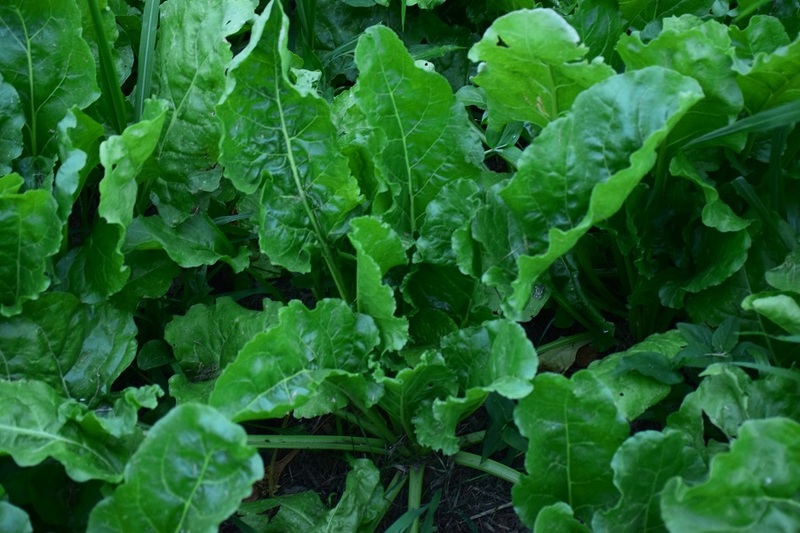 Unlike other vegetable plants, sugar beets can be a tough crop to produce well. They require a very thoroughly prepared seed bed and they don’t handle lazy planting techniques (read: this isn’t a “throw and grow” kind of crop!). But deer love them! So folks keep coming back to them, time after time, in the attempt to get a good yield for fall hunting. Growing sugar beets isn’t rocket science…but there are a few proven tips that, if followed, will lead you to success. If you’ve never planted a food plot before, we recommend that you read our guide on beginning a food plot. If you’ve successfully grown food plots and you want to improve your skills by moving on to a slightly tougher crop to grow, then you’ve come to the right place. Why are Sugar Beets so Tough to Grow? Take a look at a sugar beet seed and you’ll have your answer! Their strange appearance isn’t just a conversation piece, it affects how they germinate. Before we get into that, we’ll take a step back. For a seed (any seed) to grow well, it takes more than just successful germination. Seedling emergence, plant establishment through a self-sustaining root system, and eventual production of flowers and progeny (more seed)…all of these processes require that a seed is placed in the exact environment to thrive. When a seed is planted, it must stay continually moist enough to activate germination enzymes within the seed, and at the same time stay dry enough to “breathe” and not rot in the soil. 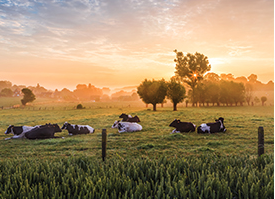 This balanced environment – where the soil moisture and soil air are present in sufficient quantities for the seed to grow – is usually not hard to achieve for most seeds out there. But then again, most seeds out there have uniform size and smooth seed coats that don’t impede the entry of water and don’t impede good “seed to soil contact”. Now take another look at a sugar beet seed and you’ll understand what we mean. The extremely odd and unusually shaped sugar beet seed makes these life sustaining tasks of germination, emergence, and establishment much more difficult and complicated than for a round or oblong shaped seed. So, now that you understand why sugar beets are a little higher maintenance, we’ll give you some good tips to use when you’re planting them that will ensure your success! Tip #1: Prepare a Firm, Weed-Free Seedbed BEFORE You Plant! Our first tip, often overlooked due to lack of time or effort, is to achieve a firm, weed-free seedbed prior to delivering any seed. Apply a broad-spectrum herbicide to eliminate the currently growing weeds. The bed should then be tilled, followed by culti-packing or rolling for an even, firm planting surface. If you have a bad weed problem, wait a week or two before planting so you can hit the second crop of weeds that will come up in the bed with another round of herbicide. Our second tip is to plant the sugar beet seed at the right depth! Seed delivery can be achieved successfully with either a planter drill or hand broadcasting, but the essential key to success here is delivery to a firm seedbed and at the proper depth. Sugar beet seed should be planted between 1/2 inch and 1 inch in depth. A drill will help you do this precisely, but if you broadcast, then you have to make sure to deeply rake the seed in. After planting, make sure the seed is covered in soil. Tip #3: Firm the Seedbed AGAIN! Once the seed has been planted and covered, firm the seedbed again! We can’t stress this enough – with sugar beet seed, you really have to make sure it has good “seed to soil” contact. Use of a culti-packer, crusher, or weighted roller of some kind after planting is an absolute MUST for sugar beet seed. And just when you think it’s firm enough for most seeds – use the culti-packer, crusher, or roller one more time for sugar beets. Here’s another important one! Don’t overseed the planting rate for sugar beets. If you’re planting beets alone, the full planting rate of 7 to 9 pounds per acre is normal. You can use less if you’re planting it in a mix. There is nothing to gain, however, by planting a heavier amount of seed (but there is a lot to lose!). Sugar beets don’t like competition in their growing environment – even with each other! So if you plant too heavily, you’ll simply be reducing your overall growth success. Here at Deer Creek Seed, we offer coated straight sugar beet seed. 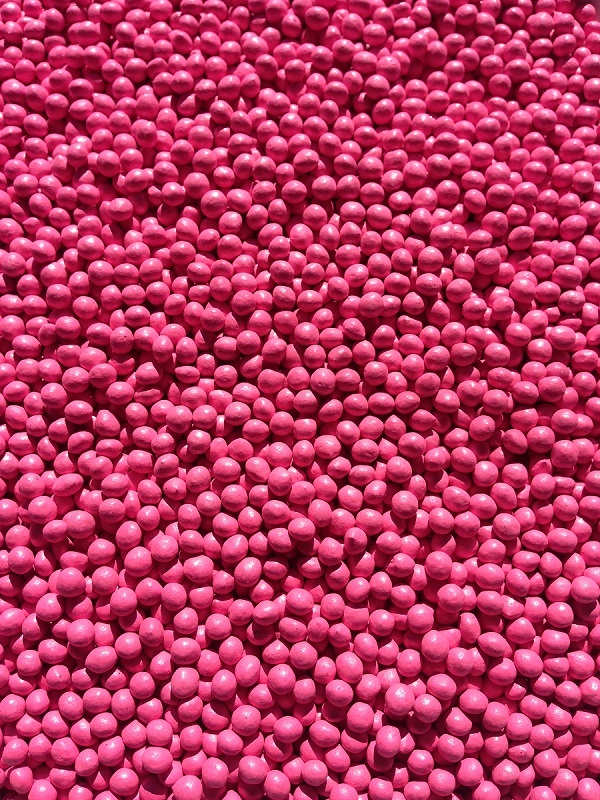 The coating on our seed is a clay polymer that protects the seed in the soil and helps with water uptake. If you look at the coated seed, you’ll see that the clay polymer coating helps smooth the seed and gives them an even, rounded shape. This greatly eliminates the problems we described earlier with water uptake and “seed to soil” contact due to the weird-shaped beet seed. Whenever available, we highly recommend using coated sugar beet seed. Tip #6: Have Patience and Be Flexible! We’ve said this before and we’ll say it again: Wildlife food plots are meant to help you engage with your local wildlife, improve your land stewardship skills, and get you excited about hunting! They’re not supposed to frustrate you or make you empty your pockets. If at first you don’t succeed with sugar beets, don’t let it get to you! Try them again, but perhaps consider using a mix, like our Beets & Sweets blend. Or, use another attractant crop like forage brassicas or turnips! Whatever you end up planting, if it’s green and succulent, it’ll draw the wildlife to your plot. So, get out there, get planting, and happy hunting!